Classical, Contemporary, Early Childhood, Group Lessons, Spirituals, Theory. I teach ages 3 to 103 weekly Lessons, Summer Camps & Specific Focus Seminars for Children, Teens & Adults in PIANO, ORGAN & VOICE: General, Classical, Gospel & Contemporary Christian. I also teach & tutor PHONICS & READING for children & adults. 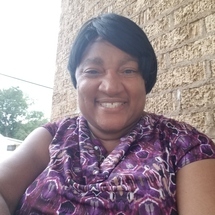 I have been teaching Music & Reading/Phonics exclusively for more than 10 years, with 7 of those years in the Arlington Private Schools & Daycare sectors. In addition, I have been  playing and performing for Churches, organizations and special occasions for more than 15 years.